Hello, Noortje. Would you please introduce yourself? Hello, my name is Noortje van Warmerdam. 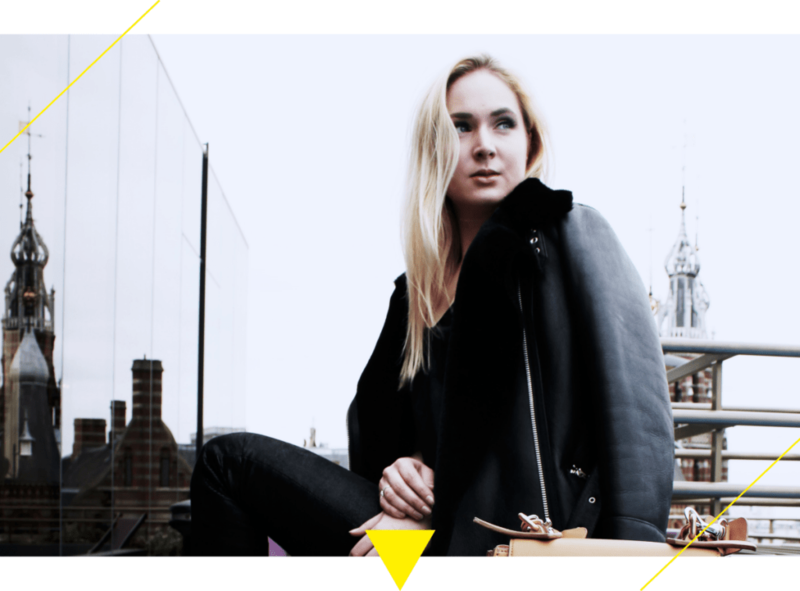 I’m 21 years old and a third-year Fashion Business student at the Amsterdam Fashion Academy. I come from Lisse in The Netherlands, a nice town south-west of Amsterdam. Would you tell us about your experience at the Amsterdam Fashion Academy? I am grateful to the Amsterdam Fashion Academy for all the countless experiences I have had during the last two years, I can now really start a career in the fashion business. Above all, the internship I did at Loes Vrij during my second year represented a big step forward for me, because I could practice what I had learnt in the class about branding and marketing. Thanks to the curriculum vitae I built up while studying Fashion Business at the Academy, I am already working in marketing. This is great news! Can you please tell us something about your job? I am working for a company called Eyes on Media and I take care of online marketing inside the Sales Department. I am really enjoying this job, especially because we have recently worked with advertisements for Chanel and Hugo Boss. Congratulations then. Let’s talk about your last two years at the Amsterdam Fashion Academy. Which was your favourite course and which was the hardest one? I really loved the Fashion Communication course, because I had to write a script for a new advertisement of MiuMiu. It was fun and fascinating studying the brand and creating a promotional strategy from scratch. On the other side, the Historical and Contextual studies course was the hardest, although interesting. What are you working on today and which are your plans for next year? As a third year Fashion Business student, I am now starting to work on my final project which will be the creation of an online platform dedicated to new designers who need to meet each other, to exchange advice and share ideas. It will be basically a social networking platform for designers. Next year, I am planning to study for a Master’s degree in Marketing Management. One last question. Which is the company you admire the most in terms of branding or marketing strategy? That’s a difficult question! I love Chloé’s style, but I think that Gucci did a great job in changing its brand image. It represents a really interesting case-study to analyse and to take inspiration from.